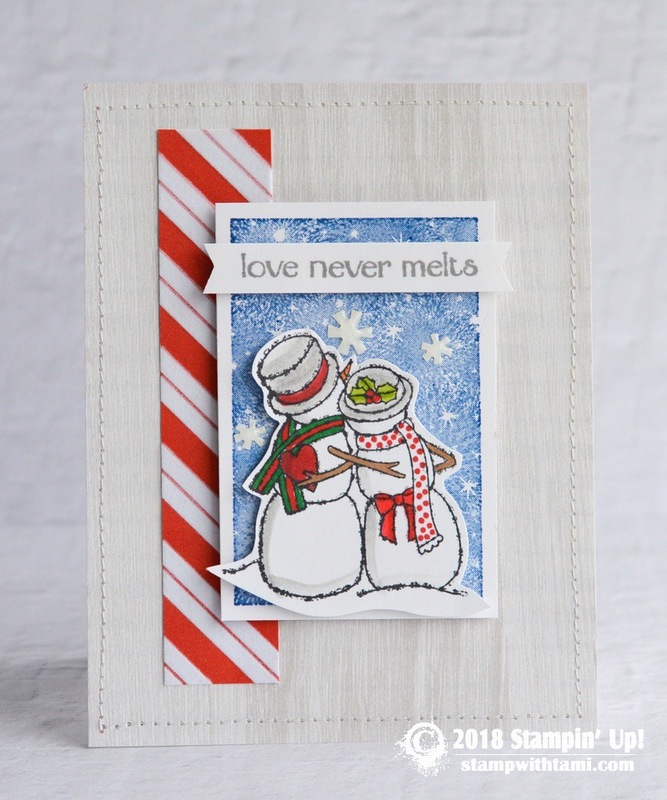 Adorable Love Never Melts card from the Stampin’ Up Spirited Snowman stamp set. The snow man and woman are colored with the Stampin Blends Markers (colors listed below). The background DSP (Designer Series Paper) is the Festive Farmhouse and the Santa’s Workshop collections.